VoIP, known more commonly as internet telephony, or voice over IP, is a way of making phone calls without using a phone line. If you want to use VoIP you'll need a VoIP phone system for your business. If you're looking to find out how business voip works, then read below, as we explain everything you need to know. 1. What Is Business VoIP? 2. What Are The Benefits Of A VoIP Phone System For Your Business? 3. What VoIP equipment Will My Business Need? VOIP stands for ‘Voice over Internet Protocol’. As the name suggests, it’s the process of making a phone call over the internet rather than the common act of using a landline or mobile network. This system works by using voice signals and turning them into digital signals, then using your broadband line to send them as data. What Are The Benefits Of A VoIP Phone System For Your Business? Please include attribution to https://www.amvia.co.uk with this graphic. 1. It’s cheaper than normal phone lines once it has been set up. This could even mean that you pay nothing at all when you make a phone call, though this depends on the distance and which country you're calling. So, in some cases, you can spend hours on a telephone conference for free! No longer is it a requirement to be in the office to connect to your phone system. You can receive calls to your business or DDI on your smartphone. 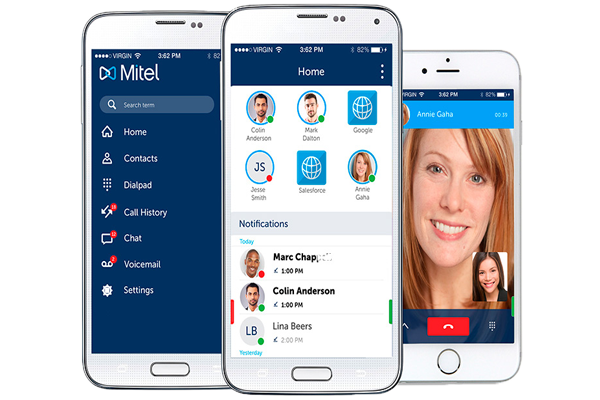 You can access the office directory and make and receive calls as if you were in the office via the VoIP system app installed on your mobile. For as little as £3/month per user you could replace your existing business phone system and get a new VoIP system. 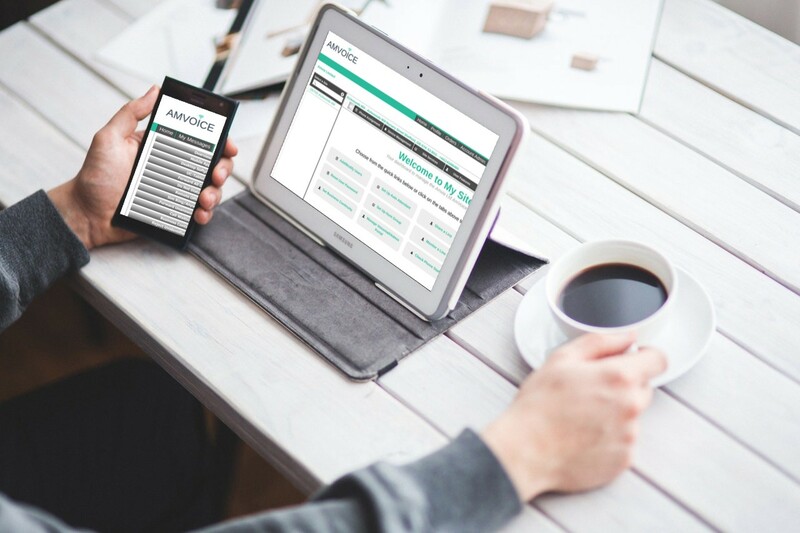 The features of a VoIP system allow you to have voicemail, call waiting, hunt groups, all easily managed via an online portal e.g. Broadcloud. 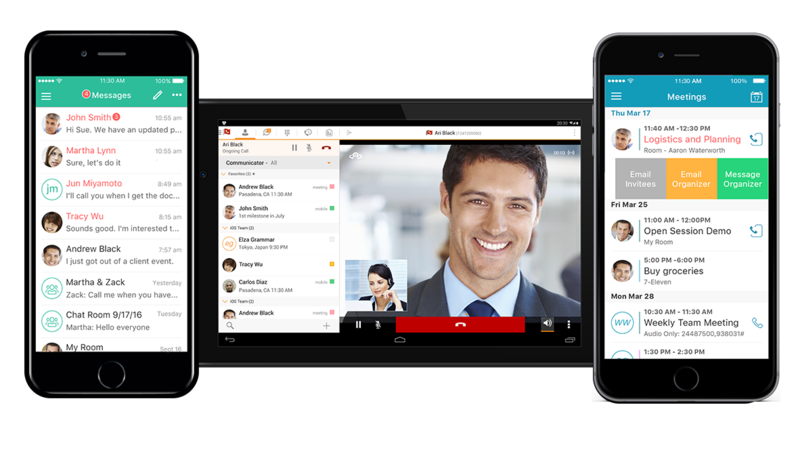 Make and receive voice and video calls as if you were in the office from your laptop, iPad, tablet or home PC. A VoIP system exists wherever you work and gives you all of the functions you may need remotely. It is also easy to send and receive faxes too. Calling a landline or mobile will be routed through your office minutes contract. 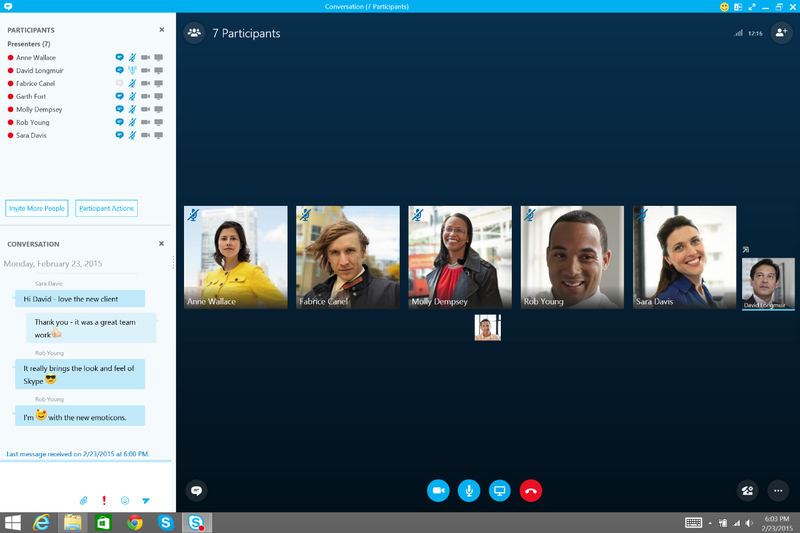 Now you can get your call routed to your desk, your mobile or the office you choose to work from wherever that may be. Calls are intelligently sent to your available location. Now you don't miss any important calls or return to the office to a ton of voicemails. CRM, desktop support, email, all link into your VoIP system so it is much easier to access contacts and respond to the important issues that you are faced with during the working day. This will depend on the method of VoIP that you’re going to use. Preferably a fibre optic one is best as they are more reliable. You’ll ideally want an unlimited plan so you will be able to have the freedom to talk as long as you want to. To get the best VoIP experience you will need a full FTTP or an Ethernet connection, which are available with some business broadband providers. Search for a business broadband VoIP connection here. You will need to purchase the licenses from a VoIP provider and if you don’t already have one, a phone that is compatible with it. If the phone plugs into an ethernet network then make sure that your router is compatible too. 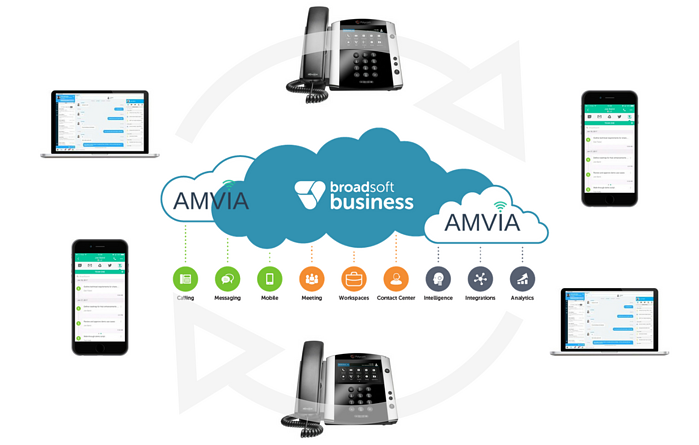 Amvia VoIP is a fully managed service your business can use from as little as £3/user/month. It's probably a good start to have a laptop or desktop computer that is able to connect to the internet. You will also need a working set of headphones or speakers and a microphone. You may consider getting a headset for the highest quality, but it’s not essential. Then you will just need to download the app and be connected to the Wi-Fi. If you want to know if you’re likely to need anything else, it’s best to check with your service provider - they should provide you with everything that you will need. It depends on the provider if they can swap it over. In some cases, you won't even need a number. This also depends on your setup. App to app is mostly free, and those provided by a business will come with a monthly cost. Should I get rid of my landline? For most providers you will have no option but to keep it, as you will need line rental to receive broadband. Can I just use VoIP on my mobile? There are a few ways you can make calls on your smartphone using VoIP. 1. Using an app that allows you to make calls such as Skype, FaceTime, WhatsApp, Facebook messenger and many more. This is one of the easiest ways to use VoIP. If the person you are calling has the app and an access to the internet then it's free and easy to use. 2. 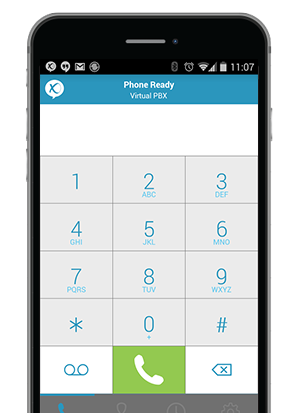 You can also use VoIP on your smartphone from your landline provider. You are able to make calls that use the minutes from your plan. This is beneficial if you have certain deals such as cheap international calling. Landline providers such as BT and TalkTalk both have popular services. If you're thinking of using a VoIP phone system for business, then theres a lot to consider. How much bandwidth do you need? What features do you need? How many minutes of calls do you need? Do different users have differing requirements. The good news is Amvia does this every day. We know all of the providers, and we can quickly guide you through the process. Just start a quote by giving us a call on 0333-733-8050 or by clicking below and our experts will quickly guide you in the right direction.